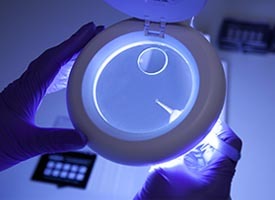 The BioAFM Facility is housed in the Centre For Tissue Injury and Repair (Institute of Inflammation and Repair) at The University of Manchester, and is jointly supported by the Faculties of Medical and Human Sciences (FMHS) and Life Sciences (FLS). 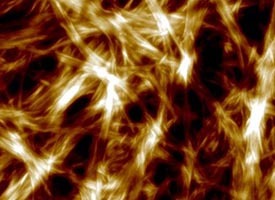 The BioAFM Facility offers Atomic Force Microscopy (AFM) imaging and micro/nano-mechanical characterisation capabilities to The University of Manchester and the wider scientific community. 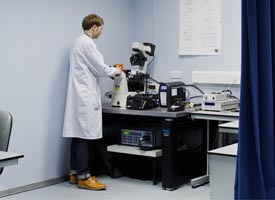 The Facility offers high resolution AFM imaging and mechanical characterisation of biological/biomaterial samples in physiological conditions. Our current user base spans the life sciences, medicine, and the engineering and physical sciences.